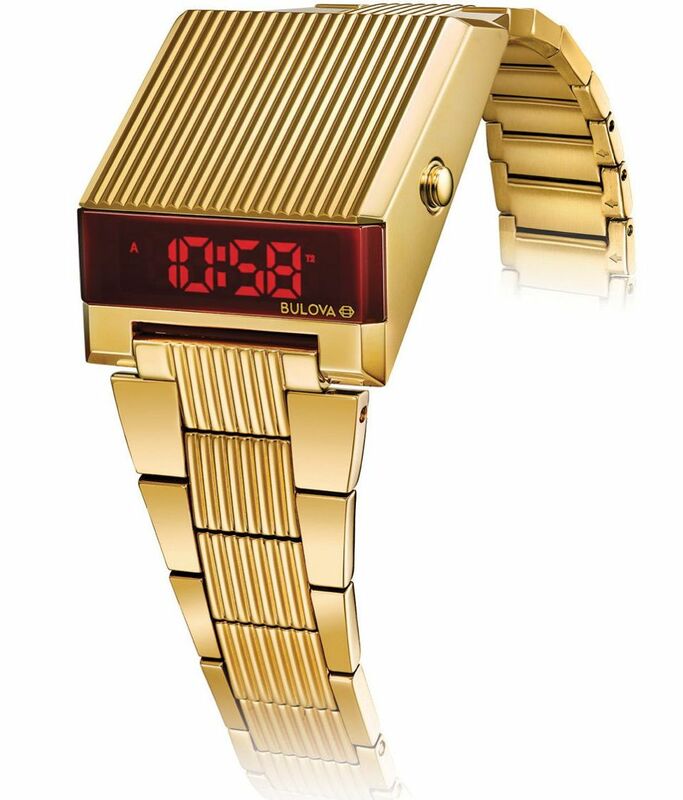 Infusing some of the brand's most iconic and nostalgic timepieces with modern design elements, Bulova's Archive Series continues to expand with the new digital LED Computron. 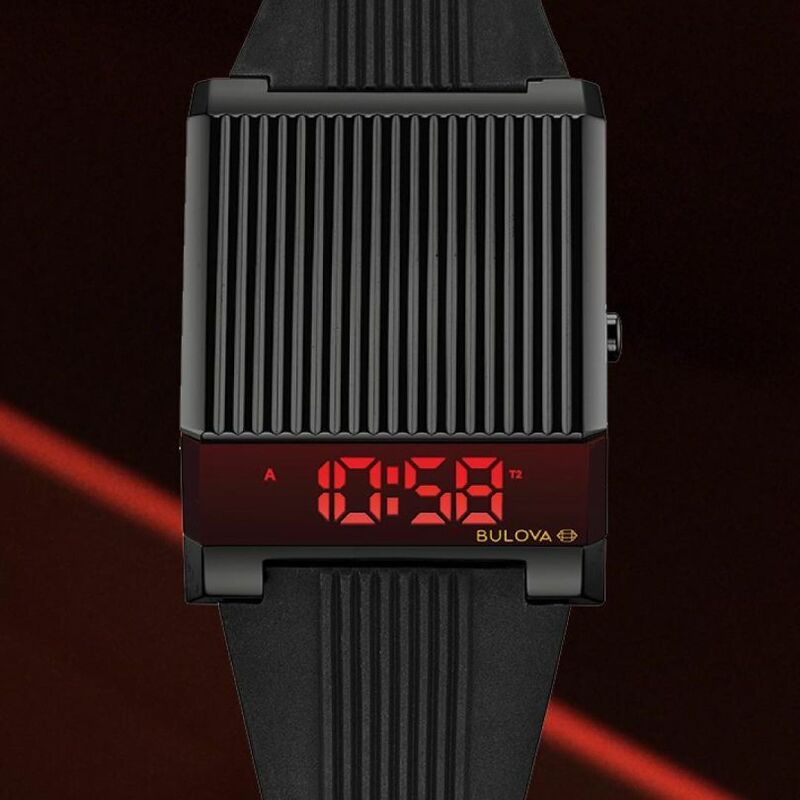 What was considered at the time an unconventional, futuristic looking trapezoidal case design, the new style honors the versions of the past and displays the time via LED on the front, at an angle. Three versions are available, yellow goldplated case with red LED, black IP with blue LED and stainless steel with blue LED display. MSRP is $295 to $395.